Scrap: Add 4 Authority. 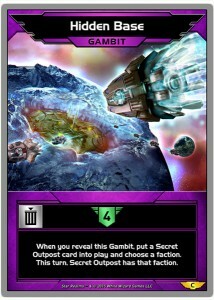 When you reveal this Gambit, put a Secret Outpost card into play and choose a faction. This turn, Secret Outpost has that faction.